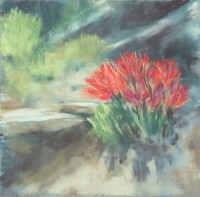 Judith brings years of dabbling in many art forms to her pastel paintings. She is a retired nurse. When staying at home to raise her family she took art classes as a creative outlet. 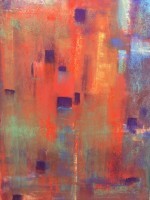 For the last few years she has focused on working with pastels. She is excited about the many possibilities that they bring. She sees the creation of a painting similar to solving a puzzle. At that moment when it all comes together, it is like magic. When someone views her painting and makes a connection to it, that is also like magic. Judith is a member of the Uptown Art Colony, a group of fellow artists that share studio space and have group shows of their work.